Hurricane Harvey damaged all in its path. 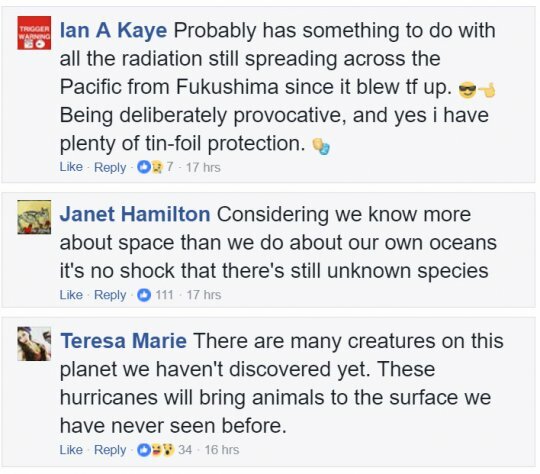 It displaced humans, animals, and even sea creatures. Preeti Desai, of the National Audubon Society, went to assess the damage. 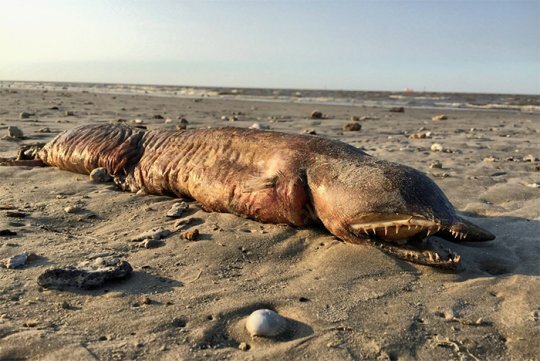 She found a bizarre decaying fish on a Texas City beach and was unable to identify it. “On first glance it looked like something from the deep sea to me." Said Preeti Desai. 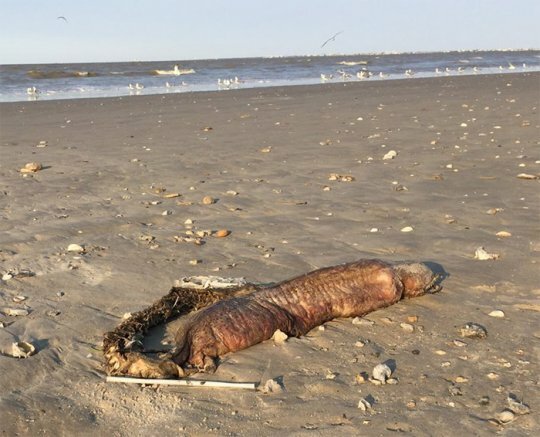 #1 - What exactly is this bizarre creature? It appeared to be eyeless, and had a mouth of razor sharp teeth, and a large cylindrical body. But she had absolutely no idea what the thing actually was. #3 - Perhaps Twitter could solve this mystery? #4 - At first it seemed like they would not be able to solve what the creature was. 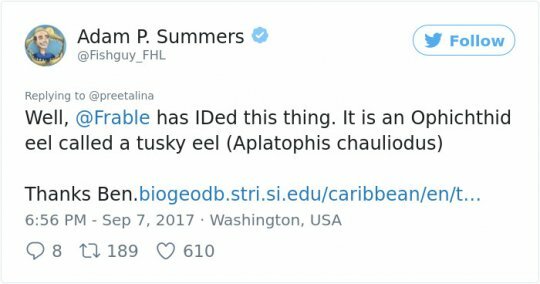 Dr Kenneth Tighe, a biologist responded that the creature was likely a fangtooth snake-eel, but it may be a garden, or a conger eel. All three species can be found off Texas, and all three have large fanged teeth. The fangtooth snake-eel is also called the tusky eel, and is most often found in waters between 30 and 90 metres in depth in the western Atlantic ocean.